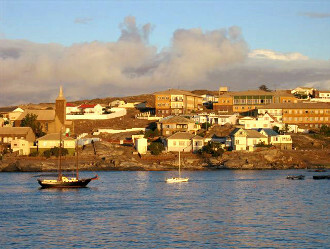 During the 2014/2015 season there is ONLY ONE cruise that goes to Lüderitz, Namibia, so don't miss out! Join the adventure with SABC TV's travel show, Voetspore on a 5 night expedition aboard the MSC Opera, departing Cape Town on 19 January, visiting Walvis Bay and Lüderitz in Nambia. 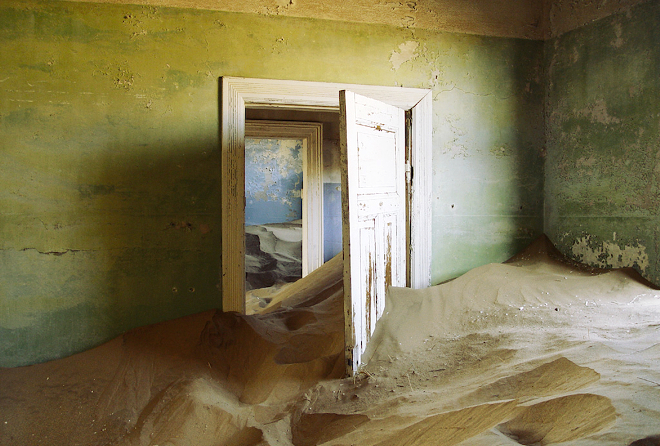 Shore excursions will involve the picturesque ghost town of Kolmanskop, Karas, Namibia and the whimsical little German town of Swakopmund. Top tip: Tell your cruise consultant how many passengers, their ages and type of cabin that you'd like for us to assist you best! 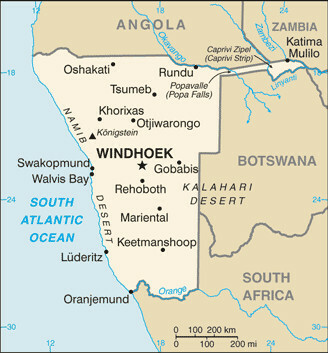 Lüderitz was discovered by Bartolomeu Dias in 1487. Dutch adventurers and scientists explored the little bay for minerals with not much success. 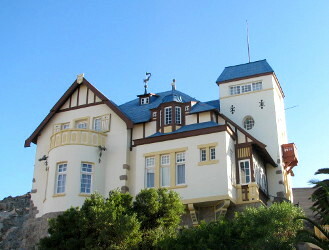 Instead, the abundant wildlife in the ocean provided the opportunity for whaling, fishing, guano-harvesting and seal hunting, turning Lüderitz into a trading post. 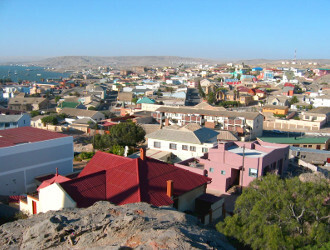 The town was renamed from it's Portuguese name Angra Pequeña to Lüderitzbucht, after Adolf Lüderitz, a German Hanseat who purchased the town in 1883. 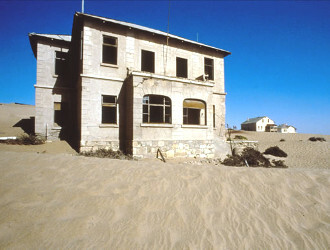 The discovery of diamonds led to an increase in foreign inhabitants and the diamond mining settlement of neigbouring town Kolmanskop (now a ghost town) was built. 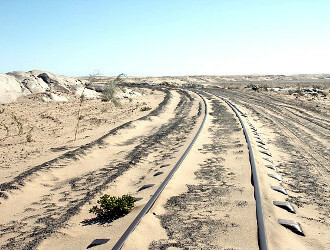 After World War 1, South Africa took over South West Africa in 1915 and with diamond mining developments moving further south, Lüderitz remained with little importance as trading post. Interesting fact: In 2013 The Nambibian goverment, in an effort to eliminate colonial names from Namibian maps, the constituency was renamed into !Nami≠Nûs. 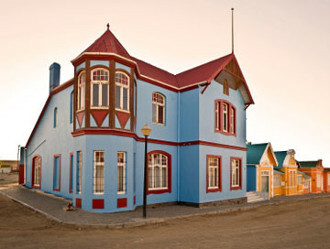 The charm of Lüderitz lies in what remains from it's colonial history with the striking contrast between colourful German buildings and vast desert with reminders of ancient settlements. Take a stroll through town to see Felsenkirche ("Rock Church"), a national monument since 1978, Kreplinhaus, the residence of the first mayor, Emil Kreplin, Krabbenhöft & Lampe, home to the first formally registered business in Nam, Deutsche Afrika Bank, Goerkehaus, the residence of the early diamond umbrella company co-owner and manager, Hans Goerk and Lüderitz museum. After the sight-seeing, go quench your thirst at Diaz Point, making a stop for some renowned chocolate cake at the Diaz Coffee Shop. The area sports some more scenic areas and lighthouses. The ghost town you pass on the way is a must-see for anyone who visits Take the walking tour, and learn how they had electricity, ice makers and 10 pin bowling back in the 30's!! 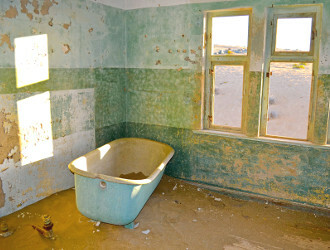 The abandoned town of Kolmanskop, previously a diamond mining settlement. Don't miss out on the opportunity to explore the roots of a previous generation in a town a bit more isolated from normal urban life. Visit cruises from Cape Town page or send an e-mail to cruises@southafrica.to for a quote.